As the King’s Fund identified in a report in 2015, mental health has finally become a political priority for the major political parties. We saw evidence of this in Theresa May’s Conservative party conference speech in October 2017, as she expressed her desire to tackle the injustice and stigma associated with mental health. This was accompanied by a government pledge to direct additional resources to frontline mental health services and staff. This rhetorical commitment to prioritise mental health is welcome and long overdue, but of course, it must be followed by clear action on the ground in terms of additional staff, services and support, if we are going to witness a radical change in the reality of life for the 1 in four of us who will suffer from a mental health problem each year. In addition to financial and policy pledges, Theresa May last year announced an Independent MHA Review into the law governing compulsory mental health treatment in England and Wales. The Mental Health Act 1983 (MHA) was reformed in 2007, but since that time we have witnessed a huge rise in the number of people who are compulsorily detained for treatment under the MHA. Between 2005/06 and 2015/16, the number of detentions increased by 40% – from 45,484 to 63,622. Earlier this year, the Care Quality Commission (CQC), the health and social care regulator in England, investigated the reasons behind this dramatic and worrying rise in compulsory admissions. The report concluded that there is no single cause for the rise in detentions during the last decade and there are a number of possible factors. These include social/demographic changes such as the growth in homeless people and older people with dementia, and changes in mental health provision and bed management, which means less alternatives to in-patient care in some areas. The findings suggest a system under huge pressure. The CQC report also identifies that legal developments have had an impact on rising detentions, in particular the broader definition of a mental disorder in the revised MHA in 2007. The MHA is perceived to be problematic, as the grounds for compulsory treatment in the MHA are based on the presence of a mental disorder plus evidence of risk to the health and safety of the patient, or to protect others. Many believe that the current legal framework reinforces the stigma and discrimination felt by people with mental illness, as it perpetuates the association between mental health and dangerousness. The MHA is also felt to be out of line with a modern mental health system; and the powers for compulsory admission and treatment stand at odds with other areas of healthcare and law, where patient autonomy prevails. The government-appointed independent review recognises these challenges and is committed to creating a more dignified and compassionate legal framework. The MHA review team has just published its interim report at the beginning of May, and there are promising signs that it is taking a more humane and responsive approach. The interim report has suggested several changes to the MHA that may help to address some of the concerns, including guiding principles within the legislation to promote and strengthen patient autonomy, dignity and respect, as well as greater focus on patient rights based approaches. There is no doubt that aspects of the current MHA are not working well. This is testified by the dramatic increase in the use of compulsion during the last decade, and the number of patients who commented to the independent review team that they have not been treated with dignity or respect during their compulsory admission. The independent review is hopeful ‘that legislation can sometimes help to lead to social change’, so let’s hope that it is able to promote a more humane and enlightened approach. But let’s also not forget the conclusions of the Care Quality Commission’s rising detention report – reforming mental health legislation on its own is not going to reduce the rate of detention, as it is only one small piece of a much bigger puzzle. 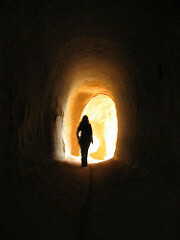 Whilst mental health has started to emerge from the shadows, we’ve still got a long way to go to reach the light. Dr Judy Laing is a Reader in Law and co-Director of the Centre for Health, Law, and Society at the University of Bristol. She is a member of the Care Quality Commission (CQC) MHA Advisory Group and, as a member of the group, has fed into the CQC’s rising detention report, as well as being involved in early scoping discussions with the CQC on the independent MHA review.